Toyota Etios gets additional new variants to the market Latin America. 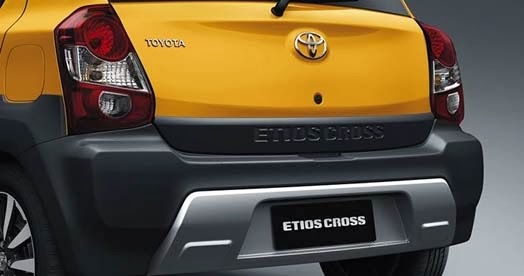 After appearing with the sedan and hatchback versions, now comes the Toyota Etios Cross stylish crossover. Aura clearly more macho than the sedan and hatchback models. His body is designed more muscular with over-fenders on all four wheels. Grille redesigned which is similar with Yaris Asian Models. 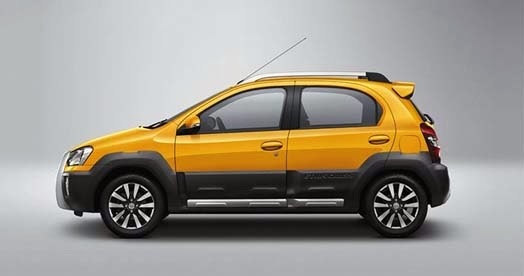 Additionally the front bumper Toyota Etios Cross gets a new twist on the design fog lamps (fog lights) that is wider and interesting. Under the front bumper and rear there are guard silver-colored like the SUV car. In the interior was made more luxurious with leather on the steering wheel and shift-knob. For upholstery, fabric cover designed more attractive. There are no changes to the engine, still using the machine 1,5-liter powered 90 hp. Mechanical heart is mated to a 5-speed manual transmission. 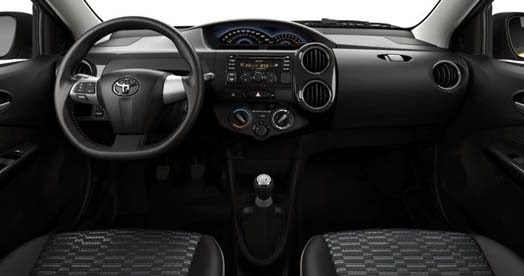 Etios Cross equipped with dual airbags and ABS brakes. Sold for 115 thousand pesos.